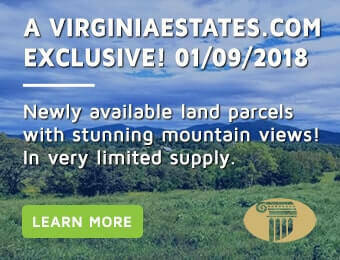 If you are interested in Shenandoah real estate for sale in Virginia, then consider Virginia Estates your official “Shenandoah Valley Real Estate Guide.” Our central Virginia realtors have access to Shenandoah MLS listings and more, plus we have the expertise to help you buy or sell a home in the magnificent Shenandoah Valley. The Shenandoah Valley is simply magnificent, representative of the geography and culture of western region of the Commonwealth. The valley itself is defined geographically by the Blue Ridge Mountains to the east, and the eastern front of the Ridge-and-Valley Appalachian Mountains to the west. Two rivers also help frame the valley: the Potomac River to the north, and the James River to the south. The pastoral beauty of the Shenandoah Valley is highly regarded as one of the most scenic areas of the country. With a rich agricultural heritage, the valley is home to four of the top five agricultural producing counties in Virginia. Homes for sale in the Shenandoah Valley range from modern, single-family homes, to historic homes and farmland. If you are looking to relocate to the region, you will certainly have a lot to do in the valley. Thanks to our friends at www.visitshenandoah.org, there are a number of area attractions that make visiting, and better yet, residing in, Shenandoah, Virginia, worthwhile. Farms and Farmer’s Markets – People buy local here for a reason. From apple picking to award winning wineries, the Shenandoah Valley has it all. The Shenandoah Valley Wine Trail – the valley is home to one of the nation’s most exciting wine producing regions, blessed with a special growing climate and exciting varietals. Historic Downtowns – The Shenandoah is home to many historic downtowns, with fine arts, dining, and more. Museums, Plantations, and Historic Sites – From the Frontier Culture museum in historic Staunton to the New Market Battlefield State Historical Pak and The Virginia Museum of the Civil War, you can learn more about the history and culture of the region. Family Attractions – Check out the Natural Bridge of Virginia, the Virginia Safari Park, or the famous Luray Caverns. Festivals and Fun – There are numerous festivals and fun to be had in the valley: music, theater, history, hiking, birding, skiing, wine tasting, Civil War reenactments and more. There is certainly a lot to do in the Shenandoah Valley. That’s why so many people want to stay longer than just a visit. If you are interested homes for sale in the Shenandoah Valley, VA, contact Rick Walden and the team at Virginia Estates. Our realtors and agents list some of the most beautiful properties in the Shenandoah and are true experts in the region. Call (877) 646-8800 or e-mail an agent today: rick@virginiaestates.com.